This bright coloured design mixed with a timeless classic shape makes for a cracker of a board range. The perfect combination of stability and performance make this a board you will riding in any condition. 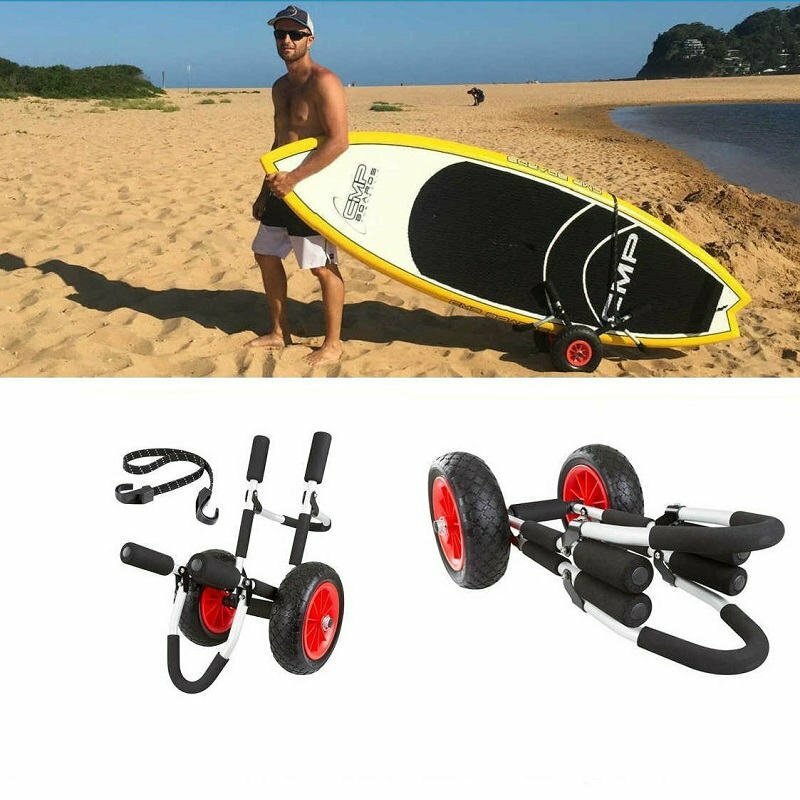 Part of the Funky SUP all rounder cruiser range this is perfect for gliding through the lake or for that mellow wave. 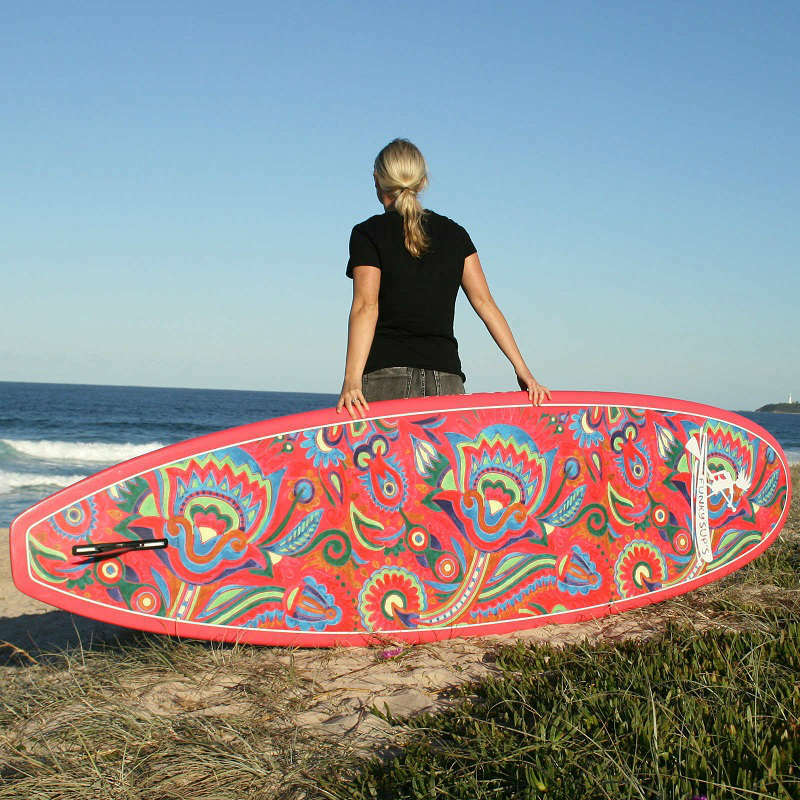 Swirly Girly Design Paddle Board in 10′, 10’6 or 11’2. Plenty wide with so much glide, this is the board equipped to take you to the lake for some flat paddling or the local beach break. The Flat mid section coupled with soft rails and a refined shape, allows for floatation. 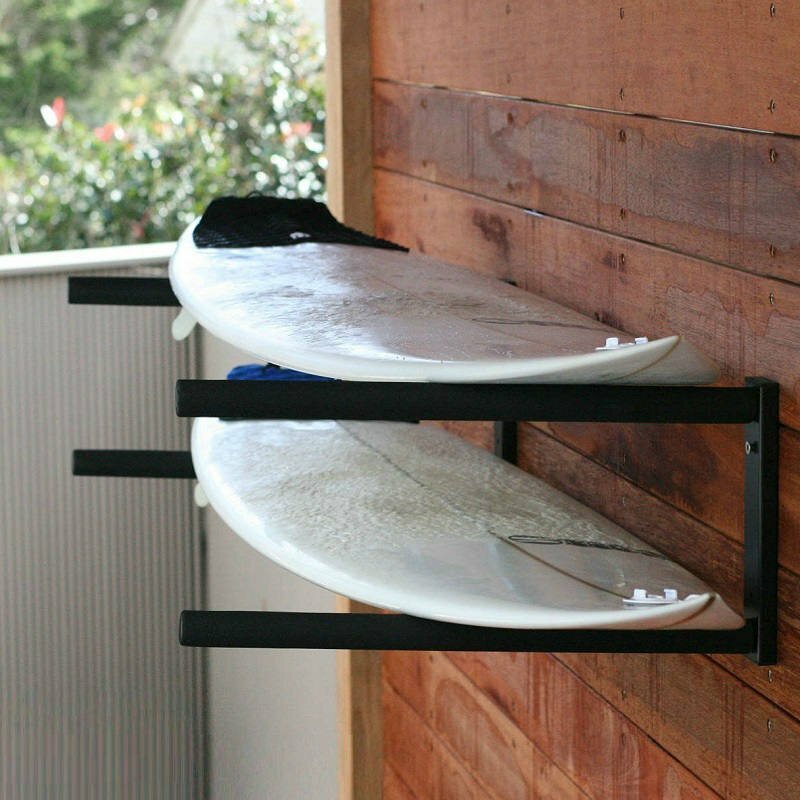 Stability is a classic design element of any all rounder and this board provides ample. Enhanced with the full nose and small rocker. This rocker and a classic line down the rail offer that perfect turn on a wave. 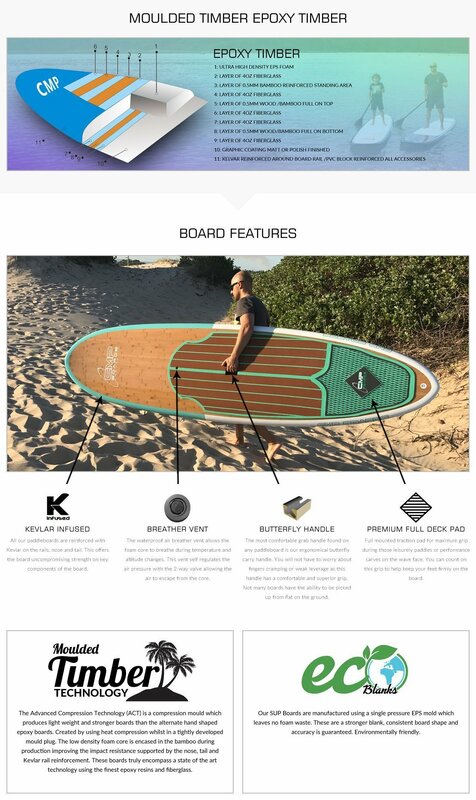 We must mention that the rounded square tail allows this board to have only a single fin yet still easily turn on a wave. 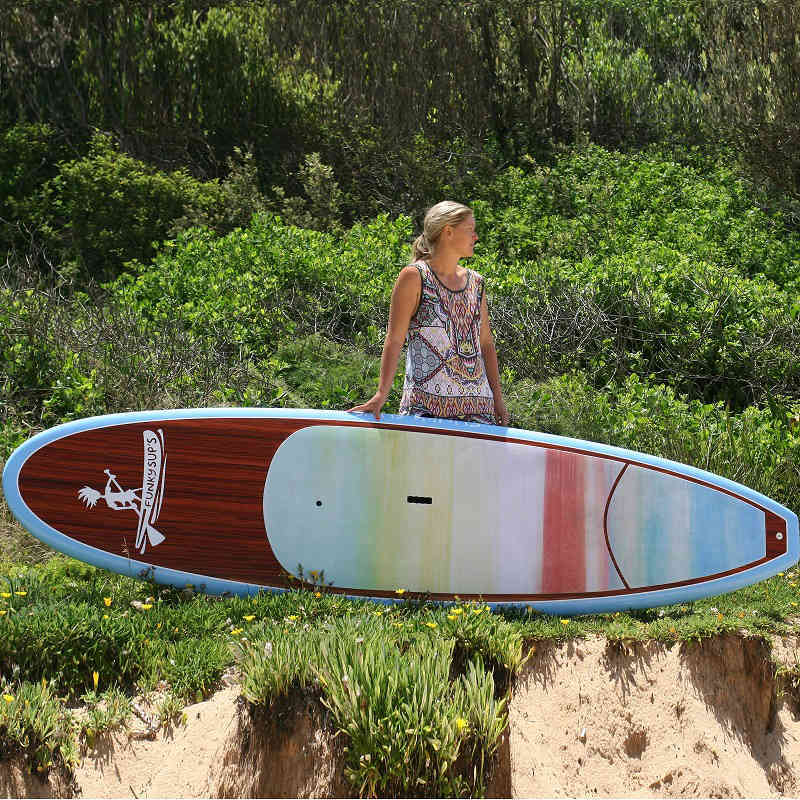 If you are into colour and a paddleboard with a difference this Swirly Girly could be a great selection.